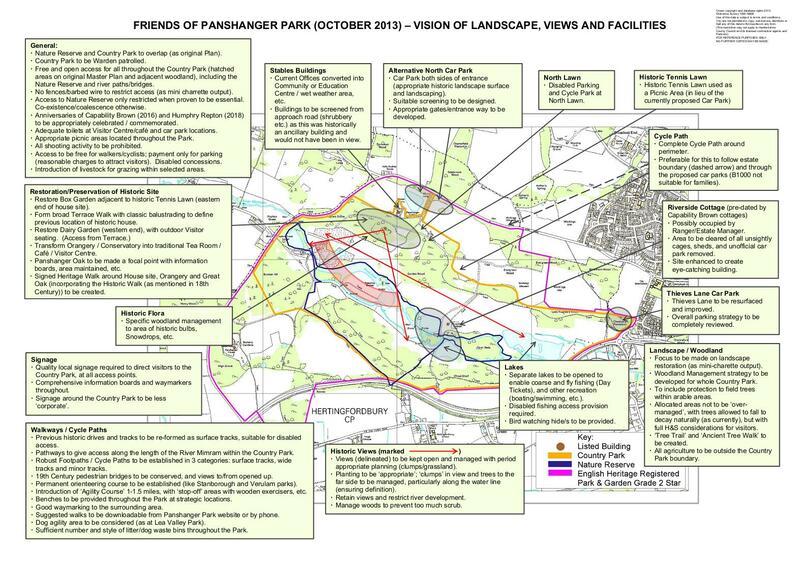 The Friends of Panshanger Park have developed two ‘Vision’ maps as a result of a detailed assessments by us. 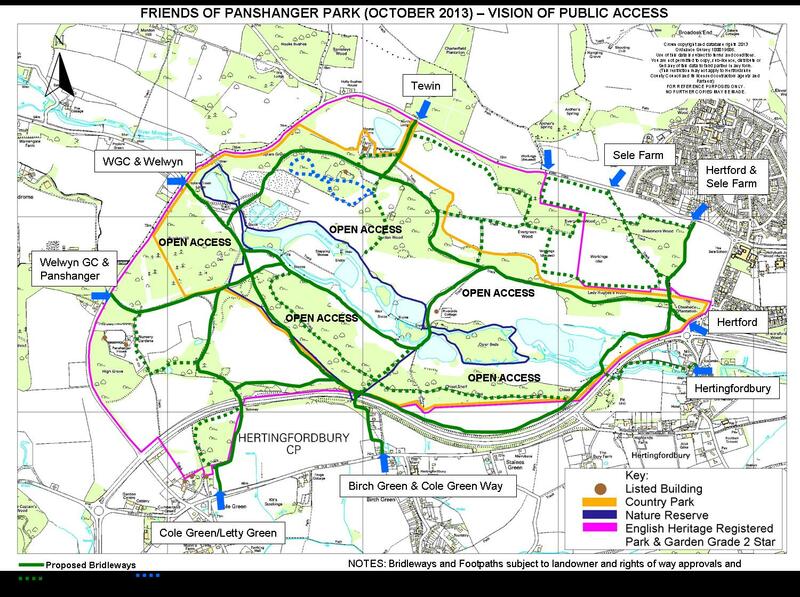 We use these maps to communciate with our partners the outline a vision for a magnificent jewel of a Country Park in the heart of our County. Fig 2 – VISION OF LANDSCAPE, VIEWS AND FACILITIES (OCTOBER 2013) Click to enlarge.